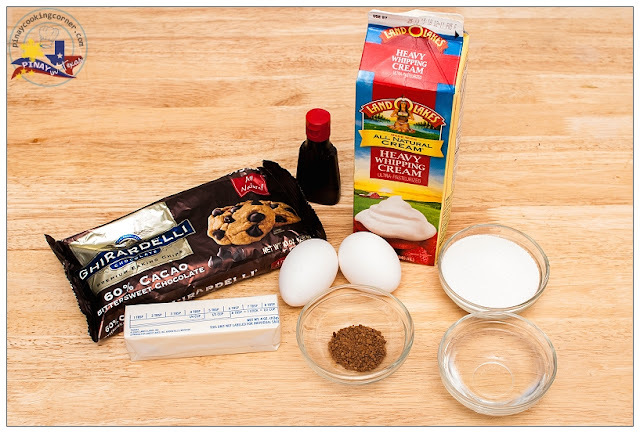 What I have for you today is a family favorite dessert that I'm sure you'll love. 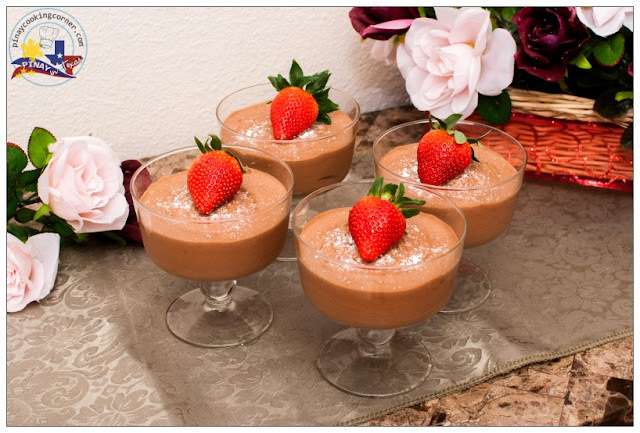 I'm talking about this irresistible Chocolate Mousse, the recipe of which I got from Laura Vitale. 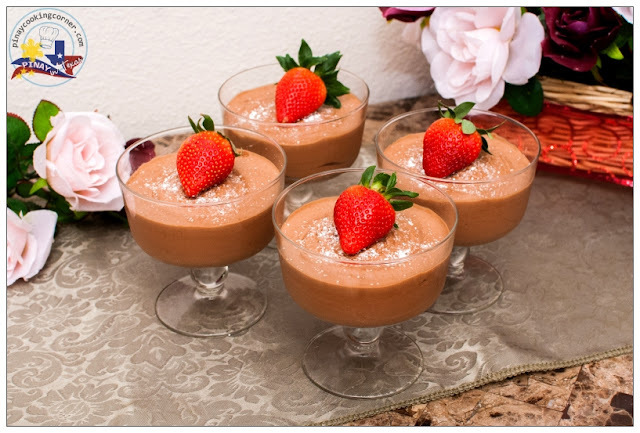 I must admit that I used to enjoy making the quick chocolate mousse version that uses gelatin as binder, but after I tried this recipe, there's no way I'm making the quick version again! This is the real thing, very light and airy just like how a real chocolate mousse should be. This has been part of every special dinner in our house since I found the recipe early last year. It tastes divine, I tell yah! Even those who say they don't like chocolates would definitely love this! 1. In a bowl, whisk the heavy cream until it forms stiff peaks, set in the refrigerator while you work on the rest of the recipe. 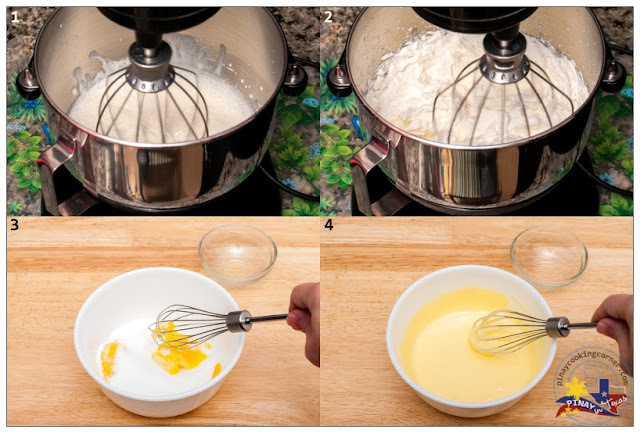 In a small bowl, whisk the egg yolk and sugar for 2 to 3 minutes or until it becomes thick and pale in color and the sugar dissolves, set aside. 2. In a small saucepan, add about an inch of water and bring it to a simmer. Place a bowl over the saucepan and add the chocolate, water, instant coffee and butter. Cook over low heat just until the chocolate melts. 3. 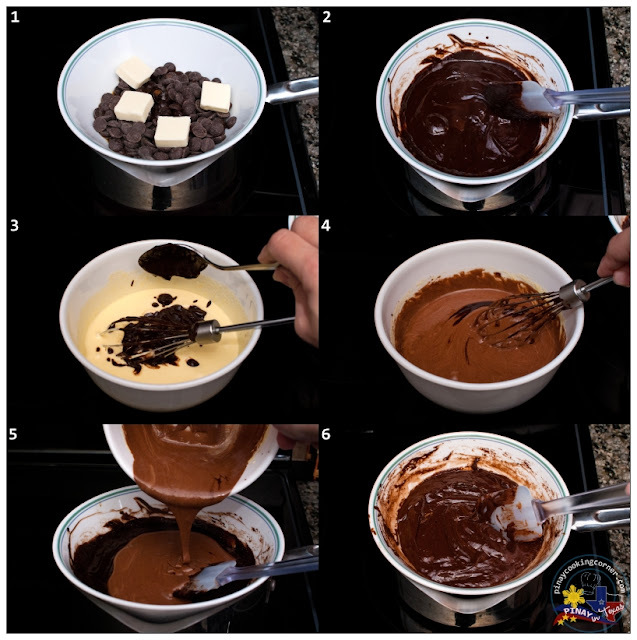 Spoon ¼ of the chocolate into the egg yolk mixture and mix it just enough to combine. Pour the egg yolk mixture back into the bowl over the simmering water in the saucepan with the remaining chocolate mixture. Add the vanilla extract and stirring constantly, cook over low heat for a couple minutes or until the mixture thickens. Let it cool for a few minutes stirring frequently. 4. In a bowl, whisk the egg white until it forms stiff peaks. 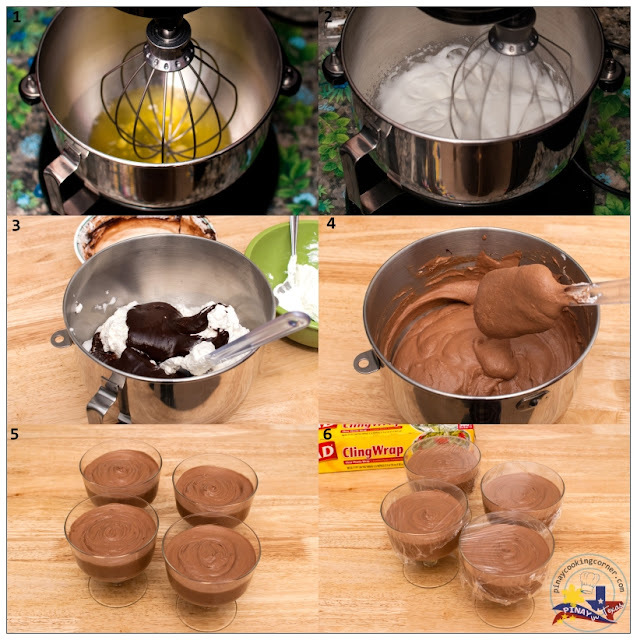 Fold the egg white in the cooled chocolate mixture.&nbspFold the chocolate mixture into the whipped heavy cream being careful not to over mix otherwise the heavy cream will lose its texture. Pour the mixture into cups. Cover with plastic wrap and refrigerate for a minimum of 4 to 6 hours to set. (I usually make this the night before so it can set overnight. That gives it a better texture.) Sprinkle with confectioner's sugar and top each cup with fresh strawberry. Tina, love the chocolate mousse...especially with a touch of coffee. This is definitely my favorite sweet treat! What a great looking mousse! Hi Tina, it is really appreciated, how nicely you decorated chocolate mousse. Yummy and delightful. Gonna gonna grab this recipe soon. You know how alien I can be when it comes to desserts. I was looking for some easy desserts and here your recipe came spot on time. The next round for guest will be this. I too love chocolate mousse, like you said light and smooth down the throat. I've bookmarked several mousse recipe but haven't got around on actually making it :P These mousse are pretty delicious ! The texture looks smooth as silk :D Yum ! Tina, I want this chocolate mousse so bad .... DELICIOUS! I totally agree about using the classic recipe vs. the one with gelatin. Both are tasty, but using eggs gives an extra silkiness. Thanks for sharing, Tina! Mousse is one of my favorite treats. What a delicious looking mousse! Look very creamy and full of flavor. I like eggs in my mousse too! I think it provides an extra richness that makes the mousse so decadent! You are right, it is requires lot of steps but sure delicious as eggs give wonderful uplift of the mousse. Oh yes please, I am always ready for chocolate mousse! Yours look amazing and I wish i have some now. Thanks for sharing and happy mid week! I agree with what you said that the only difficult thing would be to stop eating them!, I had my fair share of chocolate mousse making and yours look simple but divine! Might try it sometime! Great job!